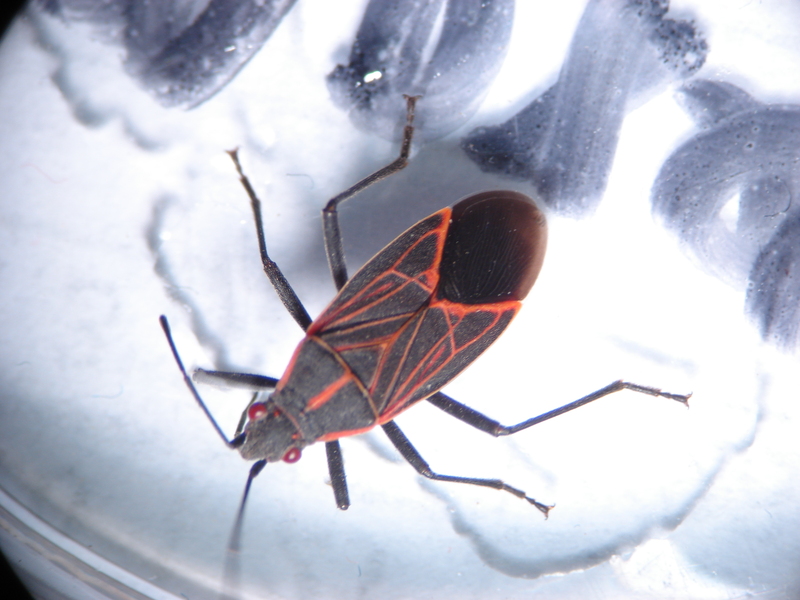 Pest description and damage The adult boxelder bug is a red, flat, and elongate bug about 0.5 inch long. The front wings and thorax are gray-black to black with thin bright red markings. The eggs are red and the bright red nymphs look like the adult without wings. Damage to host plant seed is minimal since seeds are shed. The major objection to these bugs is that they congregate in clusters on the outside walls, and then invade the home in fall and spring. They are often found in large aggregations on the seeds of boxelder, and to a lesser extent maple and ash. They are also known to feed on developing apples, pears, grapes, peaches, plums and cherries when their populations are high (see home tree fruit section). Biology and life history The boxelder bug adults overwinter in cracks and crevices, or under siding of houses or in other protected sites. They may emerge on sunny days in winter. In spring, the boxelder bugs adults move from their protected areas and lay red eggs in bark crevices of host trees. The nymphs hatch and both adults and nymphs feed on leaves, flowers, fruit and small twigs until seeds are produced. There is only one generation per year. 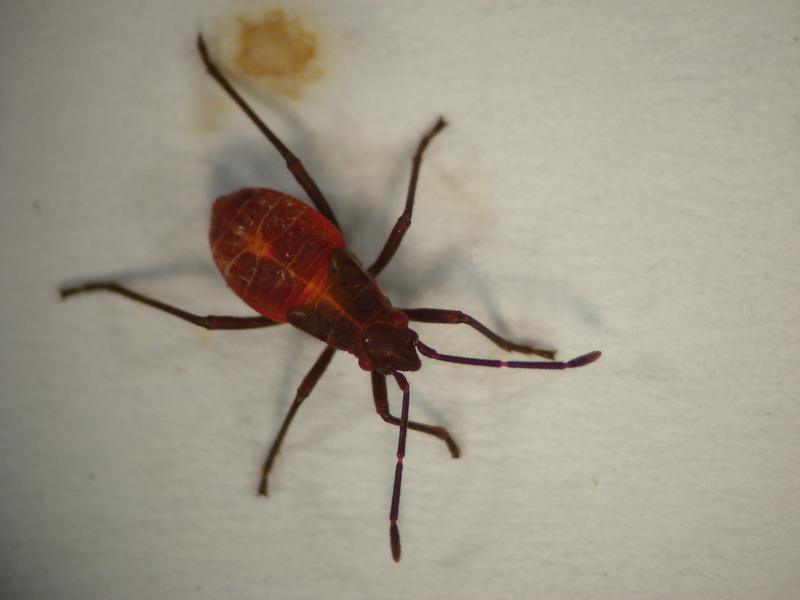 Pest monitoring Check new growth on trees or use a beating sheet and dislodge the boxelder bugs. Remove female boxelder bugs where they congregate. Seal cracks and crevices on houses.